We are absolutely delighted to be celebrating our new members and invite you to join us in raising a glass in their honour. Grandeur, marble, mirrors and chandeliers – a perfect way to met our new members. If you’ve been out along Swanston St in the CBD, you’ll be familiar with the likes of Cookie and Lounge Bar. 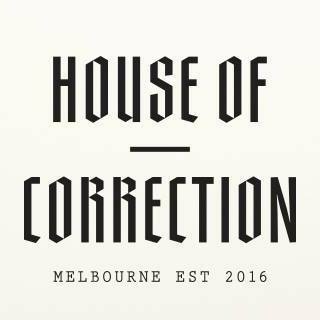 But a few doors up is House of Correction, nestled on the fourth floor of the heritage Denyer’s building. Think fuss-free cocktails, beer and a well-chosen wine list. MF Imbibo has been created purely for the purpose of meeting and talking to other members and many great relationships have developed among our attendee’s – particularly for guests that are interested in joining the Melbourne Forum. There is no entry fee, you just need to pay for your purchases as you go, and although bookings are not essential, it’s nice to know how many people we are anticipating will attend. Due to ANZAC Day, this Imbibo will be held on Wednesday evening. But if you can’t make this one, keep Thursday 30th May free in your diary for our next hidden treasure adventure.